January 21, 2018 January 21, 2018 Dr. R. A. Have you ever noticed that when you have a goal in mind to accomplish that the actual pathway is paved with obstacles? With each step, you are bombarded with one hurdle after the other. These barriers often seem insurmountable. If you focus on the challenges, however, you will become daunted and never accomplish the goal. This will result in your dreams being stolen. Dream stealers come in various innumerable shapes and forms. They are usually disguised as “well-wishers” (family, friends, relatives, society, etc.). The Bible outlined a story of a man named Joseph who had a dream that his family would one day bow down to him. This resulted in his brothers hating him even the more. His brothers hated him to the point that they wanted him dead. One day as he was on his way to see them the saw him afar off and decided that they would kill him when he got closer and see what would become of his dreams. Looking at this story, you may be able to relate as you may have had several experiences of others trying to kill your dream. Nevertheless, dream stealers are not always external. In fact, I would dare to say that the biggest and most potent dream stealers are internal. It may seem quite alarming, however, that dream stealers can be disguised as your very self. What? You might be saying to yourself that “I am the dreamer how can I be the dream stealer?” Well, to answer your question is very simple. You can be your own dream stealer as you allow the negative thoughts in your mind to dissuade you from taking the first step or to prevent you from continuing along the road to the destination in mind. These thoughts are usually anchored in the soil of guilt and fear and are consistently watered by insecurities. Hear this may cause you to feel very hopeless. However, all is not lost. I dare to even declare that you will be victorious and your dream of greatness will manifest. How do I know this? Well, because you are still alive and there is still hope while you live. So what do you need to do? This answer is quite simple. Simply get up. Get up from where you are. Make a move. Take a step towards that which you want to accomplish. Put blinders on so that you can focus on the dream and not the peripheral view. With each step change your mindset from a victim to a victor. Most importantly remember you were born to win. The victory is already yours as the battle has already been won by the Champion of champions. January 16, 2018 Dr. R. A. Things are not always what they seem. Our perceptions of things are not always are accurate as we are led to believe. Sometimes our situation seems like we have to go through great waters and great troubles all by ourselves. At other times it seems like we are going through great fire and we are being utterly consumed by the vehement flames. However, I’m here to say don’t focus on what it seems like. Instead, focus on the one who can turn things around or even keep you protected in the midst of it all. In Isaiah 43 the Bible lets us know that the Lord promised that those who abide in him will never be left alone or be consumed with that which was designed to kill. It admonished us to take courage knowing that when we go through the great waters and troubles they will not overflow us, we will not sink, we will not drown, our situation will not get the best of us. The flaming situations that we encounter occasionally will not consume us, we will not be burned, as a matter of fact, we will not even smell like smoke. Now it may seem impossible to be in the midst of fire and not be burned or worst not smell like smoke, but the God that we serve specializes in things that are impossible. It doesn’t matter what the enemy is trying. Yes, the enemy may come in like a flood but the Spirit of the Lord will lift up a standard. God will be your defense in the in the midst of it all. Why would He do it? Well simply because He is your Savior. He is God who is your father and your defense. He also promised that He would never leave us or forsake us. He will never leave because the situation is really bad. He will never forsake even when we are in the wrong. So no matter the situation resist the urge to panic and fight in your flesh. Instead, rest on God and watch him handle your situation. God can handle it better than Olivia Pope. … trust God and consider your case handled! !!! What are you leaving room for? January 11, 2018 Dr. R. A. We all have a tendency to leave room for stuff. For instance, if we are out dining then we ensure that we do not eat too much appetizer or entree. Instead, we eat in moderation so that we leave room for dessert. Additionally, whenever we are getting an apartment or house we also get an extra room in the event we start a family or have a guest. However, leaving room goes beyond these things. Have you ever considered that you are leaving room whenever a conversation takes place between you are others? Yes, you are. Whenever we communicate how we end our conversation can create space for either good things to flow or bad things to brew. This occurs especially when we are angry, and we speak in anger. 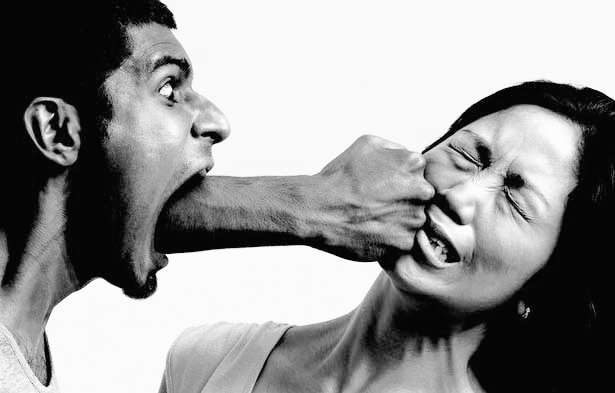 It is said that anger is the condition in which the tongue works faster than the mind. This only means that words flow out without calculating the damage of impact. As such, we need to be cautious of the words that spew from our mouth especially when angry. Being anger seems like a natural occurrence when we believe that we have been wronged. As a matter of fact, we often justify our right to be angry. And I might even agree as I have been angry more than a few times myself. However, there is a way that specified as it pertains to dealing with anger. The Bible admonishes us in Ephesians 4 that we should be angry, but not sin. Additionally, it implores us to ensure that the cause of our anger is addressed before the sun goes down. In doing so, we will protect ourselves from the tsunami of catastrophic events that can occur when the enemy walks into the room that we have left available. Also, to be counted among the wise then we should keep our anger under control. As we progress throughout this year, let us monitor our words and our emotions. Let us ensure that we do not leave room for the adversary. January 9, 2018 Dr. R. A. Senses play a significant role in our everyday life. Without them, we would be utterly unaware of our surrounding environment. We would not be able to behold the beauty in the seasons of life. Neither would we be able to distinguish the exquisitely exotic flavors of life. We would not be able to perceive the vibrating percussion or the flattering rhythmically sound of music. Life would be extraordinarily uneventful and outright dull. Unfortunately, however, we take these gifts of senses for granted and allow ourselves to be deceived into thinking that they are not essential and serve no real purpose. The glitter and the glamour of what is displayed as “good life” trick us into giving up or walking away from that which profits the most. Leaving us cold and empty as we have been robbed of what life’s splendor genuinely consist. A story was told in the book of Luke chapter 15 about a father who had two sons. He was a wise man who ensured that he had an inheritance for his children. When the younger came of age, he decided that what the father had to offer in his household was mundane and there was no way he could spend the rest of his life that way. As such, he asked for his portion of the inheritance that he would receive so that he could go out and “live life” the way it was meant to be lived. He allowed himself to be deceived while passing through vanity fair street. Unknowingly to him, all that glitters was not gold. As he prolonged on the street, he lost all he had and everything he hoped to achieve and found himself lacking and in need. He, however, came to his senses as he was partaking of that which only pigs eat. He remembered that things were actually better in his father’s house and even his father’s servant had a better life than he did currently. Therefore, he arose and returned to his father’s house. Sometimes like the younger son, we allow the enemy of our soul to trick is into thinking there is more to be done and better to be found outside of the father’s house. Upon leaving the house for the “better,” we realize experientially that everything that was shown to us was just a mirage. As we progress throughout this year, it is imperative that we do not allow ourselves to be fooled by the enemy’s tricks as they are always the same (the lust of the flesh, the lust of the eyes and the pride of life). Instead, we put on blinders on your senses. Keep our eyes fixed on the precepts and statutes of the word of God as we continue to trod. However, if you have been enticed by the mirage come to your senses and return to the father’s house where his arms are outstretched. You don’t have to live without. Remember that even the hired servants in the father’s house have food to spare. There is abundance in the father’s house so don’t live in lack. GET YOUR SENSES BACK!! Life has a way of presenting circumstances that if we are not careful can clip our wings thus disempowering us from soaring to great heights. These wing clippers come in the form of losing (job, home, loved ones, cars, etc. ), disappointments, discouragement, etc. They often come without warnings like a tsunami or earthquake. These circumstances often leave us feeling broken and like there is no hope or need to carry on. They force us to live in cooped up like chickens. However, we were never designed to live that way. 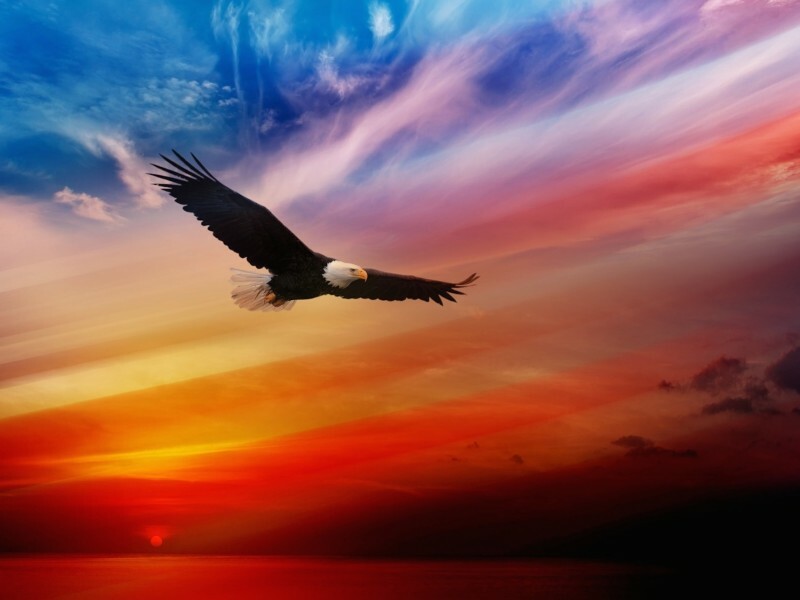 We were formed and fashioned by the Creator to live like eagles that soar. Eagles were never meant to live in chicken coops. They were made to fly at heights where no other bird can go. They were even designed to fly above the storms. Whenever storm clouds are setting in they would get excited because they use the storm winds to lift themselves higher. Eagles recognized that the storms of life came to assist them in getting to heights that they may not be able to get to themselves without the force of the winds from the storm. They have the storm bring it attitude as they know they can handle any storm as their Creator would not give them more than they can bear. There are times, however, when these magnificent creatures get weak. In their time of weakness, they do not roll over and die. They instead they go to a higher place. If it gets weak, it goes to a high place on the mountain and plucks out its feathers and knocks its beak off until it is completely bare. He stays there until new feathers are grown. The higher place that they go to is a representation of the secret place that we need to go in God and remain until we have been completely refreshed and renewed. It represents the intimate and honest relationship we need to have with our Creator. I say to you don’t hang around with chickens as you are not a chicken regardless of what your circumstances tell you. You were created as an eagle with the ability to soar. Yes, they will talk about you, but that is because they are jealous of the liberty you possess. Afterall, they can’t really fly, and they are confined to a coop. Spread your wings eagles and soar. Rise above the criticisms, back-bitings, backstabbing, brokenness, etc. Be who you were designed to be. Don’t be confined by the coop others and circumstances try to trap you in, break off that beak, pluck out those feathers that are old and weighing you down. Lay aside every weight that easily beset you. Retreat into God so that He can show you exactly what you need to do. Listen only to God’s voice and be obedient. Remember the storm was not sent to destroy you, it was meant to help you get to new heights. So soar as you were designed to and enjoy the picturesque view. August 29, 2017 Dr. R. A. Our idea of the pathway to greatness is different from God’s way. We often think that this path should be straight and without any form of hindrance. We believe that it is one with only fun and relaxation. It is probably hedged with our favorite flowers and the sun is bright and at the right temperature. On the road, we envision there is no struggle and everything we could possibly desire comes easily at the blink of an eye. To the contrary, however, God’s way is almost polar opposites from ours. For instance, God’s way to being exalted is for us to humble ourselves. His way for us to have much fruit requires a grain to fall into the earth and die. Seemingly ironic God also uses tools that cause great pain for us to come to the place and become the person that He has called us to be. Unfortunately, rejection is one of those tools in the box that is necessary for us to become great. I say unfortunately because no one likes to know that they are not accepted into their social arena or the social class that they are trying to get in. Rejection is God’s way of incubating our greatness. This method often causes painful thoughts. And if it occurs frequently it causes us to question our worth. But before we allow the enemy to infiltrate our minds with negative thoughts we should remember that any person who has been great had to experience rejection and sometimes on many accounts. In addition, they have had to live a life of loneliness and experience they varied emotions that come with this process. Nevertheless, their experiences did not devalue them in any way in the eyes of God. People like Moses, David, Joseph, and Jesus were all rejected. God employs these wonderful tools for incubating greatness within us because He cannot afford for us to be socially dependent upon anyone. Life has a way of misguiding us and manipulating us into thinking that people and things are our sources. As such, God makes us into misfits because He has chosen to raise us up and cause the greatness within to be put on display. He also wants the fact that He is our source to be embedded within. It does not matter what our needs are He is more than capable of supplying all of it in abundance. Sometimes it may seem like our entire life is just chaotic and everything is screwed up, but God is doing it on purpose as He is an intentional God. Therefore, the fact that people are hurting our feelings, talking about us, being jealous and manipulative of us and backbiting, backstabbing and rejecting us is just His methodology of getting us into that great and exalted place. He is building up our resistance. He is taking us to a place where we have been delivered from people, the things they do and say. As such, don’t react to the things they do and say so that you can be used by God in a great way. Let their actions roll off you like water on a duck’s back. Remember that the stone that the builder refused has become the corner stone. The rejection you are facing is incubating your greatness. In just a little while God will put it on display. So keep fervently seeking and worshipping God. August 18, 2017 Dr. R. A.
August 18, 2017 August 18, 2017 Dr. R. A. This result is us feeling like we have been sentenced to solitary confinement. At the onset, we loose sight of the fact that we have been positioned for greatness because of the isolation that is felt. But I dare you to take another look. Cause in the fullness of time the treasure that is on the inside will be revealed for all to see.